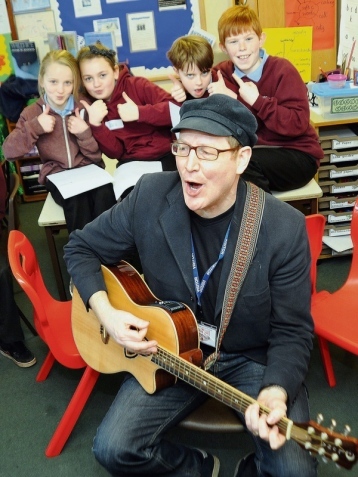 Henry Priestman has visited many performing-arts schools, secondary schools and colleges, and appears regularly on music industry/song-writing panels. His work with younger school children (and also “special needs”) is a relatively recent development and is proving to be extremely popular. 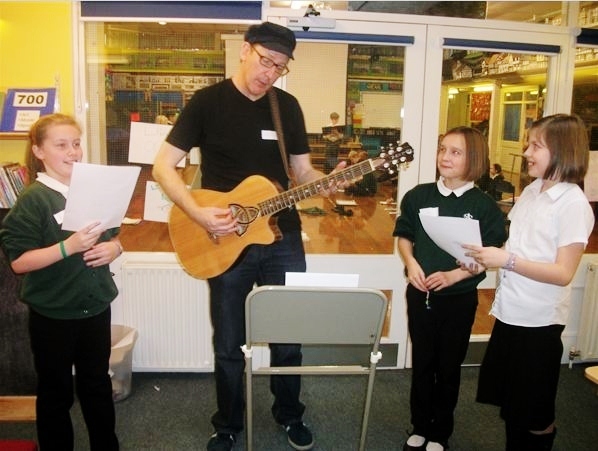 As well as doing his own workshops, since 2015 he has also been working with pupils from Longhill Primary School in Hull (with songwriter and ex-Housemartin’s musician Stan Cullimore and poet Paul Cookson), returning throughout the year to see how they’re getting on, building towards a big school concert/show (“The Poetry Factor”) in July 2017. Having written and produced songs with a wide variety of musicians/singers over many years, Henry has a great deal of experience in getting the best out of all sorts of would-be song-writers (music AND lyrics). He brings a huge amount of fun and enthusiasm to the proceedings, and tries to make all participants feel relaxed and included. Children especially benefit from these workshops both creatively and socially, and they are a crafty way to enhance English language skills too. Though he’s released many singles and albums in his 40 year music career, in 2015 Henry had his first poem published in a book called Dinosaur Poems (Scholastic Press 2015). 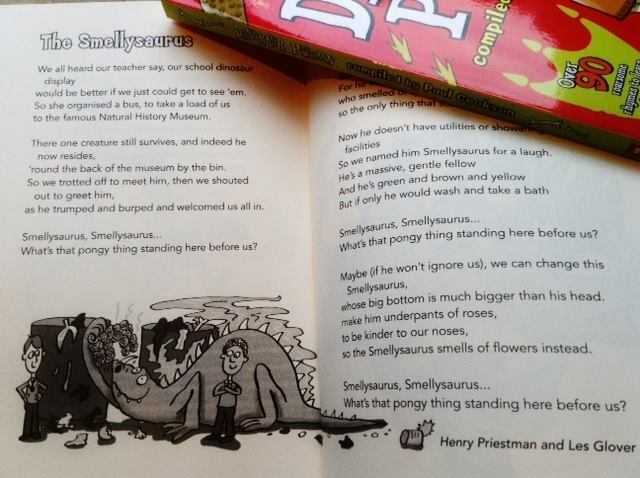 The poem is entitled “The Smellysaurus” and is co-written with his friend Les Glover, and, as you can imagine, it goes down very well when performed in schools! Henry’s aim is to give students an enjoyable and fulfilling experience in a team-building, co-operative environment, where they have the freedom to express themselves and hopefully turn their ideas into songs. 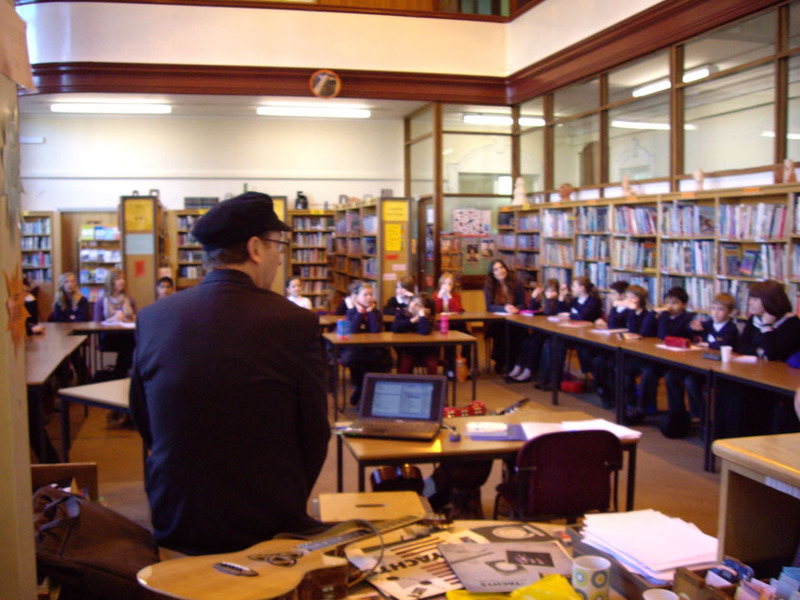 As an extra bonus, Henry’s workshops have often been known to produce ideal material for school concerts. The session usually begins with a light-hearted interactive illustrated audio lecture (between 30 and 60 minutes, depending on the age of the students). In it he shows how, through his passionate love of song-writing and performing, Henry has managed to write music and songs in so many different genres, have the odd hit (with his former band The Christians), also try his hand at Film/Ads/TV soundtracks, and generally work successfully in the music business for over 38 years (one of the first songs he wrote, “Suffice to Say”, was released on Stiff Records in October 1977!!). Students who are instrumentalists themselves are welcome to play during workshops, but this by no means excludes those who are not. Henry always has a guitar to hand, so can help realise an idea, or come up with a tune if the pupils are working on lyrics alone. In song-writing, lyrics are just as important as the music – and many well-known lyricists can’t write a note of music! 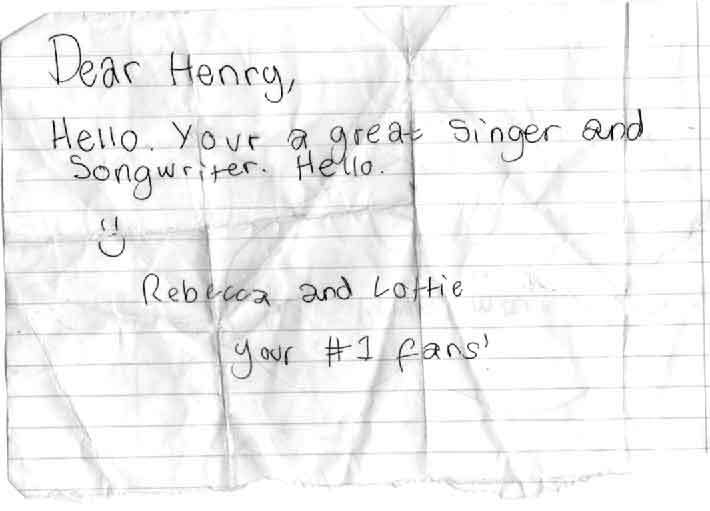 One of Henry’s most successful ideas is to teach the children a song of his own, then get them to re-write the lyrics. They can have fun with all sorts of subjects! In 2012 (when he began doing his primary school workshops), Henry’s work with younger pupils centred on themes to tie in with the Olympics (team-work, determination, dedication etc). The theme could just as easily be team-building in general; anti-bullying; “say no to the logo” (the topical title of one of Henry’s own songs), “light & dark”, confidence-building, or indeed any other subject that a teacher might feel is relevant to their class. Pupils are ideally divided into teams of around 5 or 6, so that they can work together. Then, throughout the day, Henry goes from team to team, armed with his guitar, encouraging them to think about rhyming, scanning and, of course, telling a story. At the end of the workshop, Henry performs all of the songs, with the children hopefully singing along (or hitting percussion if they’re too shy to sing). Usually these performances are video-ed by/for the school. What will Henry need when he visits your school/college? Don’t worry – despite his years in the heady world of chart success, Henry’s personal rider only amounts to a few cups of tea and maybe a school dinner! Henry will bring a laptop containing an assortment of photos, videos and songs for his initial presentation. He will need a projector to connect to the laptop (via a square 15 pin VGA connector), a white screen, and ideally a PA system (or a decent set of speakers) to be connected via his laptop’s headphone socket – so that everybody can hear the songs he plays during the presentation. Please let us know if the latter cannot be provided. Henry is able to bring a small sound system, if necessary. He will not need a microphone or amplification for his guitar. Henry plays and sings acoustically, avoiding any barrier between audience and performer. If a percussion box is available, this would be most useful (shakers, tambourines etc). …What will the students/pupils need?…if they’re proficient on an instrument, bring it along; if not all they’ll need is some paper, a few pencils, and their imaginations! Email to book Henry for your school/college/seminar. G&T Co-ordinator, Kenton School, Newcastle. 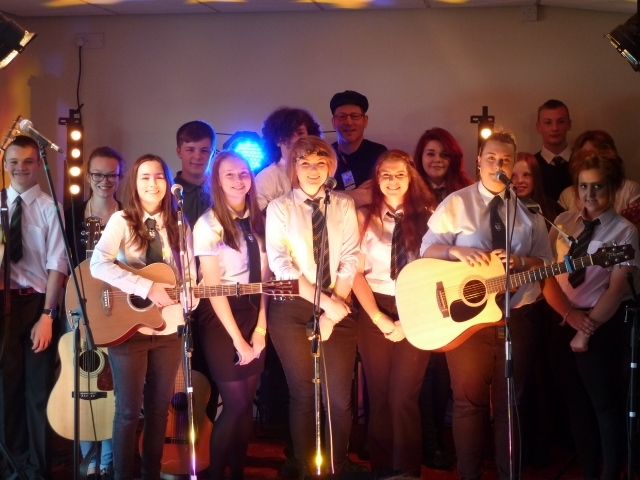 Music Co-ordinator, Thornaby C of E Primary School, Stockton-on-Tees.